Xbox Game Pass was one of those things for Xbox One that was always going to happen after the success of EA Access. The current trend of companies offering a subscription-based service which offers new and old owners of the console games to play is only something I can see growing bigger as time goes on. Places like Activision and Ubisoft spring to mind right off the top of my head, with both of these publishers having a huge amount of games and early play opportunities that gamers would snap up I think. Those with an Xbox Live gold membership can try out this service now with a 14-day free trial, with the cost of the service being just £7.99/$9.99 if you decide to stick around after this. 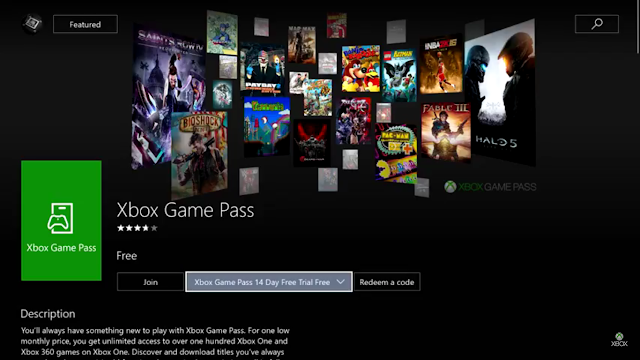 Those with just an Xbox Live Account will be able to try out Game Pass when it becomes available to all on June 1st. The games on offer early on are very indie and BC heavy in my eyes so those expecting a bunch of AAA games right away may not be happy with the games on offer. You can find a full list below of all the games currently available with the service. Thx Tony. I've been too lazy to look up the list!